SMS Assist announced today the promotion of Marc Shiffman to president. 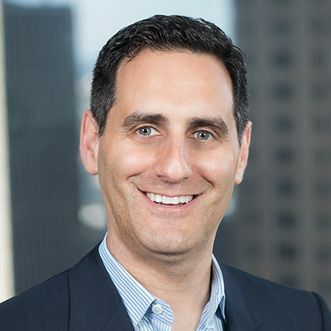 One of the company’s earliest employees — instrumental to its years of rapid growth and market leadership — Shiffman will assume the role immediately and continue as the company’s chief financial officer. Shiffman joined SMS Assist almost nine years ago as employee number 25, helping build the scalable framework by which the company’s novel solution to multisite property management has flourished. Today, SMS Assist serves a diverse, national roster of Fortune 500 clients through its team of more than 800 dedicated employees and 20,000 affiliate subcontractors. For years SMS Assist has been one of the marquee success stories of Chicago’s technology community, opening a second area office this past fall. The company enhances how customers experience some of the nation’s biggest brands, streamlining facilities maintenance services with a technology platform that offers real-time quality assurance and transparency across thousands of locations. Since joining the organization in 2010, Shiffman has served in many roles including chief operating officer, chief financial officer and chief administrative officer. He has an extensive background in general management of specialty and consumer products companies, having worked as a senior executive at MacAndrews & Forbes-owned-and-operated companies such as Revlon, Coleman and Sunbeam. Shiffman earned a bachelor’s of science degree in economics from the Wharton School at the University of Pennsylvania and an MBA from The Booth School of Business at the University of Chicago. SMS Assist is a Chicago-based technology company providing multisite property management to a roster of Fortune 500 clients with a team of more than 800 dedicated employees and more than 186,000 service locations. Using its proprietary software platform to manage its network of more than 20,000 affiliate subcontractors, SMS Assist offers a suite of property management benefits including leveraged pricing of products and services, a $50 million insurance policy, real-time services validation, instant invoicing, automatic service audits, and data analysis to ensure quality and cost efficiency. SMS Assist is revolutionizing multisite property management services for clients including JPMorgan Chase (NYSE: JPM), O’Reilly Automotive, Inc. (NASDAQ: ORLY), and Invitation Homes Inc. (NYSE: INVH). To learn more, visit smsassist.com.